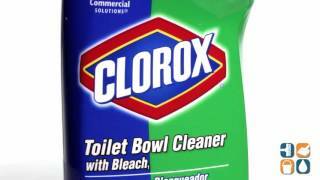 This powerful Toilet Bowl Cleaner with Bleach from Clorox Commercial Solutions cleans, disinfects and deodorizes toilets with the power of bleach. The thick gel formula clings to the bowl's surface, providing a deeper clean than other brand toilet bowl cleaners. 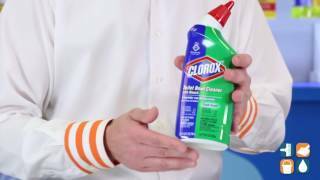 This Clorox Toilet Cleaner is formulated with the power of bleach to eliminate stains, bacteria and odors, leaving your facility's toilet bowls sanitary and fresh. 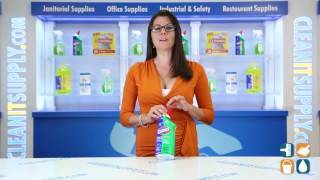 Clorox Toilet Bowl Cleaner with Bleach is perfect for use in offices, day care centers, restaurants, hotels and other commercial facilities.